निमोना उत्तर भारत की एक बहुत ही पारम्परिक डिश है जिसे अधिकतर ठण्ड के दिनों में बनाया जाता है, क्यूंकि इन दिनों मटर आसानी से बाजार में उपलब्ध रहती है. निमोना ज्यादातर लखनऊ और कानपूर में बनायीं और सर्व की जाती है। कुछ लोग इसे आलू के साथ भी बनाते हैं परन्तु इसे अधिकतर उरद दाल की वड़ी के साथ और मटर को पीस कर मसालों के साथ ग्रेवी में बनाया जाता है और पके हुए चावलों के साथ परोसा जाता है. 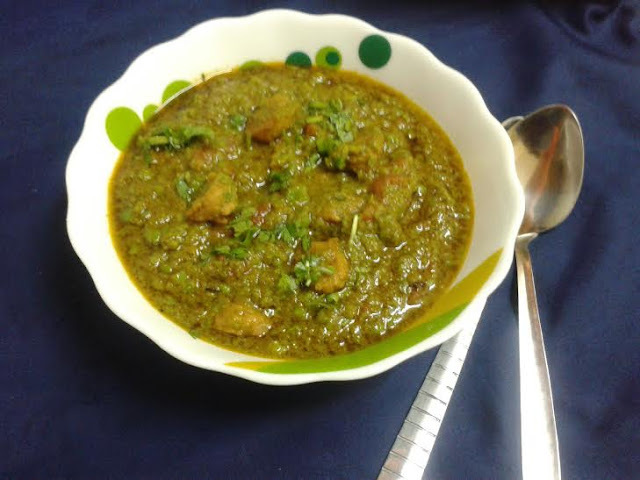 Nimona is a traditional side dish recipe of North India. It is generally made in winters because peas is easily available in the market. 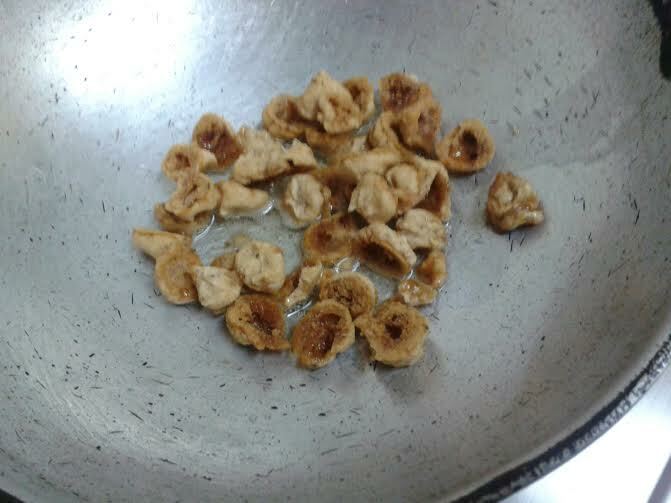 This dish is famous in Lucknow and Kanpur. 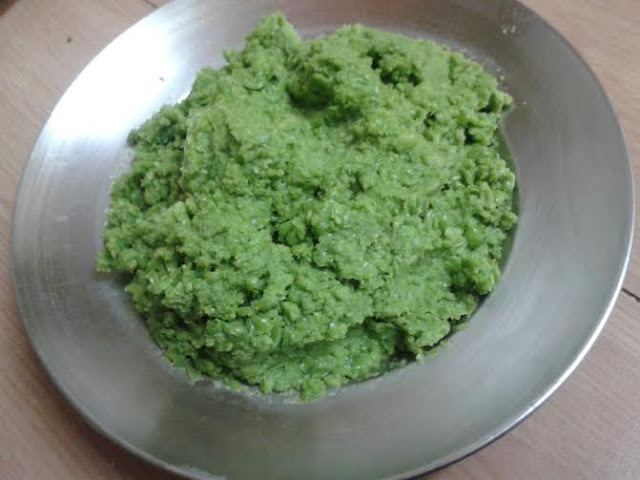 nimona made with pureed peas, urad dal vadis cooked with tomatoes and spices. 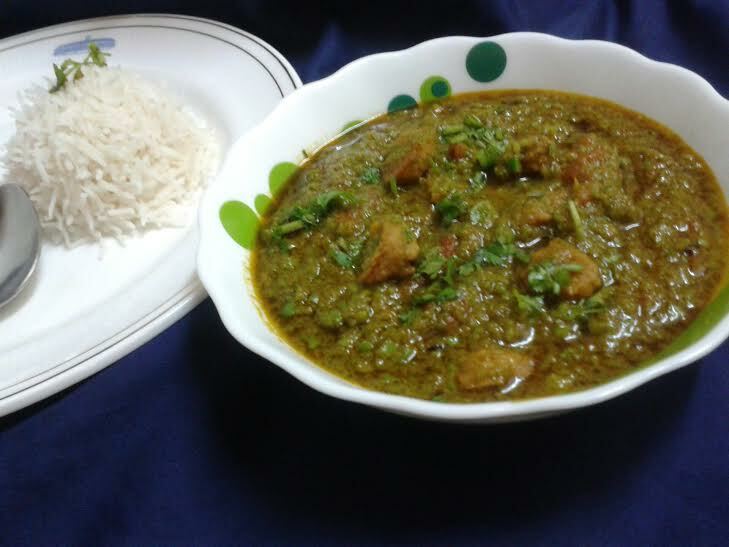 usually serve with plain rice and it is eaten as a substitute for dal and vegetable together. 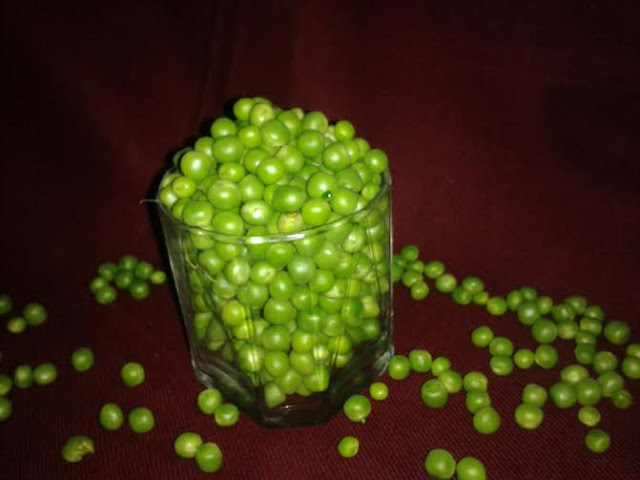 Coarsely pureed the peas in blender using a little water and keep aside. Heat the ghee in a pan saute 1 tsp cumin, Heeng, chopped ginger and copped green chili, add peas fry over a slow flame till the puree become lightly golden. switch off the flame. Heat the remaining oil in a broth pan add 1tsp cumin, clove stir a minute add ginger, garlic paste and onion paste, saute over a medium flame till the paste becomes golden. Now add turmeric powder, red chili powder, salt and coriander powder mix well and cook the spices for 2-3 minutes, add tomatoes cook the oil separates from the gravy. 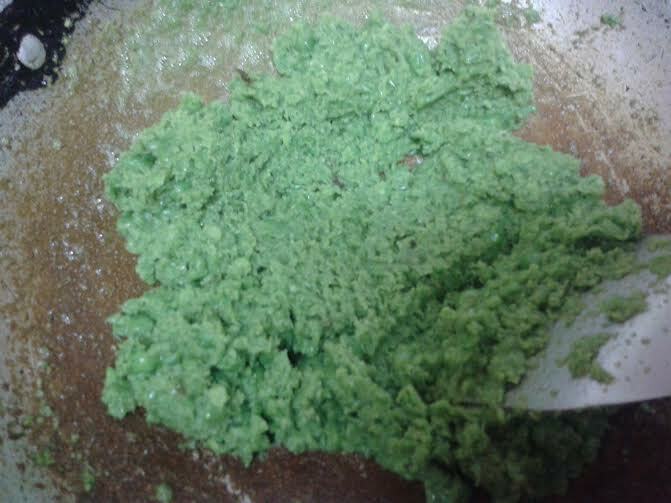 Add green fried peas puree, vadis stir for 2-3 minutes till the mixture leaves the sides of the pan. Add 1/1/2 cup water mix well. Bring to a boil simmer and cook the gravy for 5 to 8 minutes. Switch off the gas, sprinkle the garam massala. Garnish with coriander leaves, serve hot with steamed rice or chapatis.